Hi Value for your money is a 9. For some reason I cannot click on the Value for your money rating. It's a bit expensive, but it's fair for what you get. 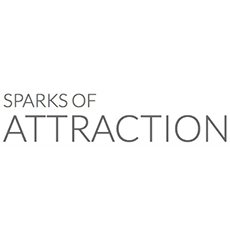 Nick Sparks' Sparks of Attraction coaching is a life changing experience. Nick places an emphasis on being yourself, letting go of your insecurities, and strengthening communication skills. This was my first time taking a formal coaching class. I took the weekend class in Austin, Texas, and loved it! Nick is friendly, charismatic and provides great constructive criticism. I really benefitted from his class, and made some new friends while I was there. During the day, we did exercises with his female associates to establish a foundation. Then at night we went out in Austin (which is a great city to visit) and practiced what we learned. Nick is well prepared with material, and provides helpful guidance throughout the entire weekend. He pushes you to go outside your comfort zone, and the benefits are immeasurable. Before taking this course, I always felt like I could get more out of my love life. I was disappointed, therefore, I decided to get some help. I am completely satisfied with my decision and would recommend this course to anyone looking to improve their relationships with women, and other people in general. It is not easy to do, but if you remember your training, you will get better at making new friends, appreciating other people, and just get more out of life. The best part about this course is that it is not about becoming someone you are not. On the contrary it is about becoming more comfortable with yourself. This course not only improved my love life significantly and immediately, but has also made me a better human being. I hope you choose to take this course. You will not regret it!